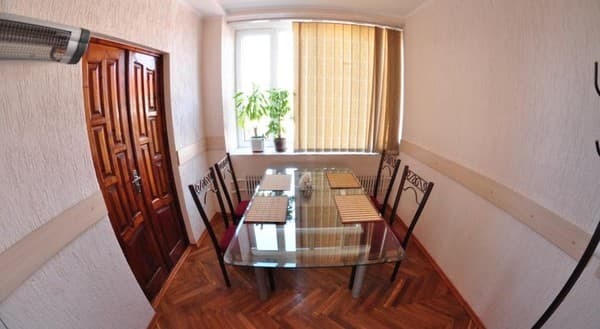 The hotel "Tourist" is located on the main street of Rivne. The complex is a modern 10-storey building is divided into hotel and restaurant part. The hotel is built on an individual project and put into operation in 1989 It offers reconstructed comfortable rooms of different categories. 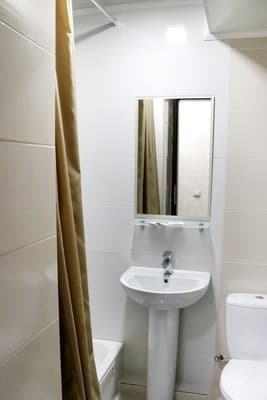 All rooms are equipped with TV, phone, access Wi-Fi. There are rooms for people with disabilities. 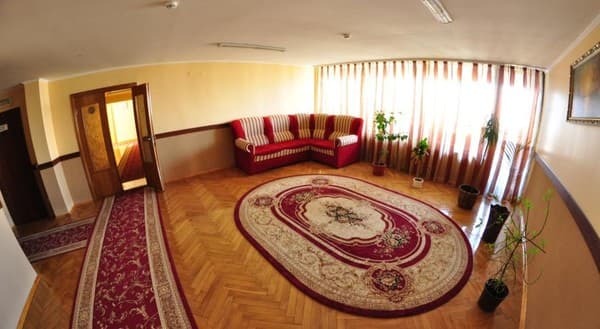 The complex provides the following services: a cozy cafe for 50 persons (home cooking), a restaurant for 250 people, a nightclub, a conference room for 50 people, car, parking, dentist service. Breakfast is included in the room rate. Distance from train / railway station - 4.5 km, Airport - 10 km, bus station - 100 m.
Children under 12 stay free without extra bed. 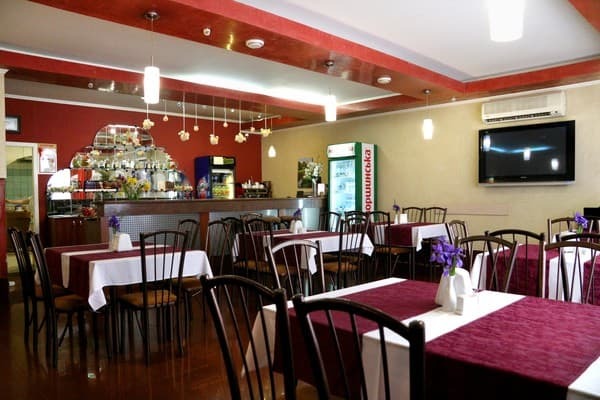 The hotel operates a cozy cafe for 50 persons (home cooking) and a restaurant for 250 people. Breakfast is included in the room rate. Located in the central part of the city near the bus station. 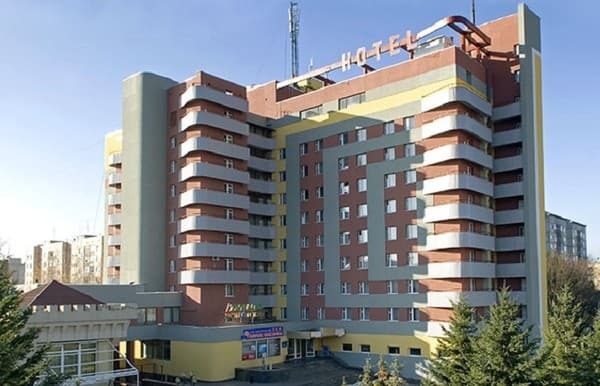 Distance from station: w / d - 4.5 km, Airport - 10 km, bus station - 100 m.
The hotel is located near the bus station.